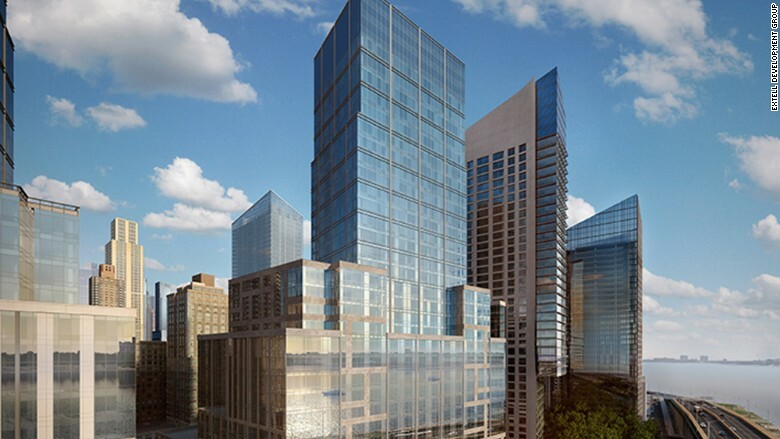 NYC luxury condo building has separate entrance for low-income renters. The line for this "poor door" stretches as far as the eye can see. A 33-story luxury complex in Manhattan has 55 affordable rentals at below-market rates for those who meet certain income requirements - and a staggering 88,000 applications have been received. For those will money to burn, the gleaming tower on Riverside Drive also has more than 200 luxury condos for sale, with prices ranging from $1 million to as much as $25 million. But there's a separate entrance for the affordable rentals, which has become known as the "poor door." As first reported by the New York Times, the deadline to apply was Monday. The Housing Partnership, the nonprofit group in charge of screening applicants, said the total number of applications is expected to be closer to 90,000 once all have been counted. Applicants will be selected randomly for the two-bedroom, one-bedroom and studio apartments. They will then be interviewed by the Housing Partnership to verify eligibility based on income, family size and other factors, including disabilities. To qualify for below-market rates, tenants cannot earn more than $50,304 a year for a family of four. The top rent for one of the affordable two-bedroom apartments is $1,082 per month. Meanwhile, there is a seven-bedroom, nine-bath "tower townhome" for sale in the building for $25.7 million. The condos have expansive views and come with a host of extravagant perks, including a pool, bowling alley, rock climbing wall, a golf simulator and a screening room. The low-income renters will have street views, a community room and bike storage. The building was approved as part of the city's "Inclusionary Housing Program," an effort to mitigate inequality by offering affordable housing in nice areas. While it's not the only building in the city with a separate entrance for low-income residents, critics call the practice a form of income segregation. New York City Mayor Bill de Blasio has criticized "poor doors" and is changing the housing code to eliminate it from the program. "We oppose so-called 'poor doors' and will change the necessary rules so that when affordable housing is provided on-site, we will not allow separate entrances based on income," said Wiley Norvell, a spokesman for de Blasio. Supporters say the surge in applications is a sign of the huge demand for affordable housing in New York City and evidence that the program is working. The developer, Extell, did not immediately respond to a request for comment.